Sunkissed Products & November Empties! Gorgeous screenshot, I know. Standard. So, which one do you like best? 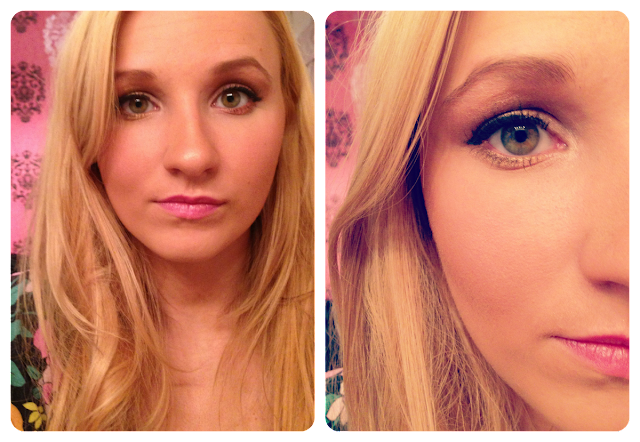 You can comment below, on YouTube, or tweet me @CosmeticsKitten. But on to the main point of this post! A palette with 10 eyeshadows, two bronzer/blushers, three lip colours, a mascara and some brushes. 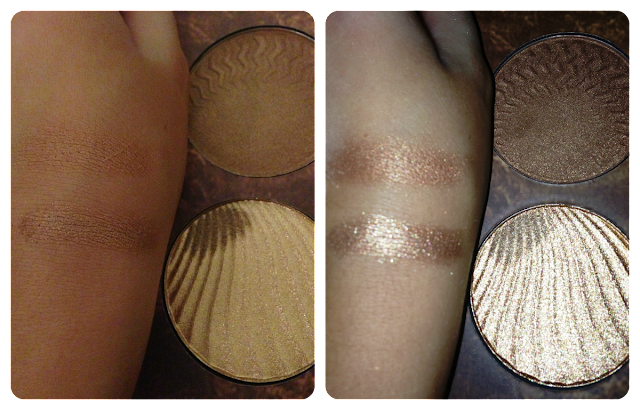 The eyeshadows are lovely! They are shimmery and pigmented and the colours blend so nicely together. 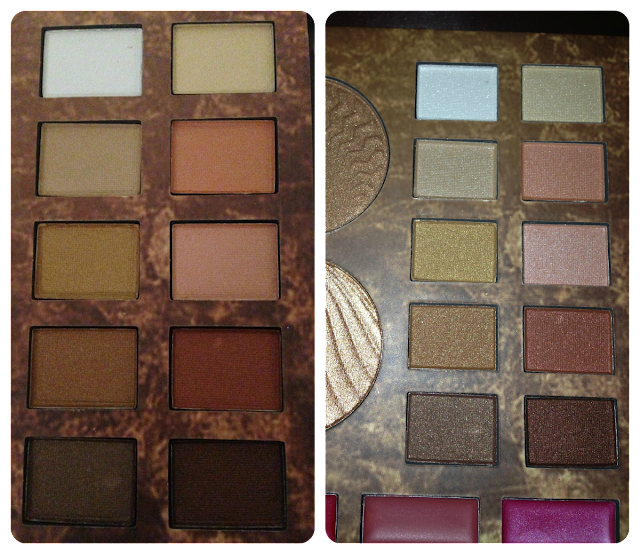 There are two kind of colour schemes - golds and pinks, which are both favourites of mine! Top photos are with flash, bottom without. No shades have names. I'm not a huuuge fan of lip colours in a palette, the three colours in the set are all pretty, but quite sheer and I don't like having to use a lip brush. I have to say I also really dislike the mascara, it does nothing for me!! 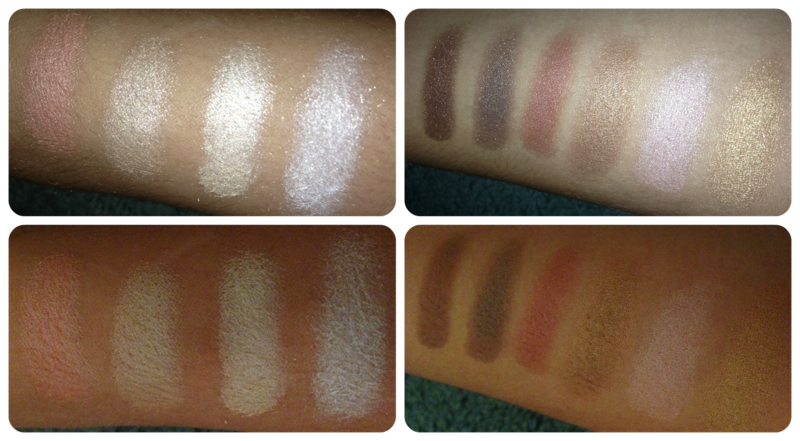 The highlighter is a bit of a surprise, it looks very pale but actually swatches darker. I'd be a bit reluctant to use too much of the bronzer and highlighter as my face would probably look like a disco ball, they're very shimmery! Left with natural light, right with flash. So the bottom 'highlighter' is actually more of a bronzer too. 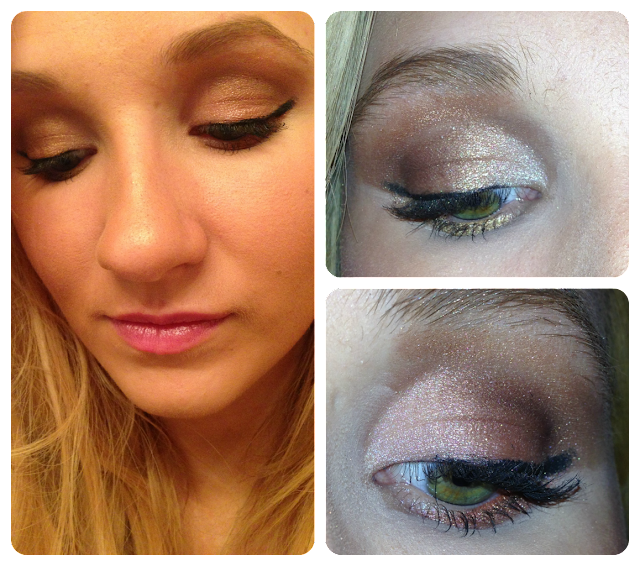 The large separate bronzer is a lot more appropriate for an all over sweep! They were also kind enough to send a fake tan mousse, which is great!! It is quite yellow toned, which is prefect for me, and blends well and dries quickly! The best part is the SMELL! It actually smells really good, which is so rare for a fake tan. The only downside is it's not very dark, I think I'd have to apply a few layers to get the desired shade. 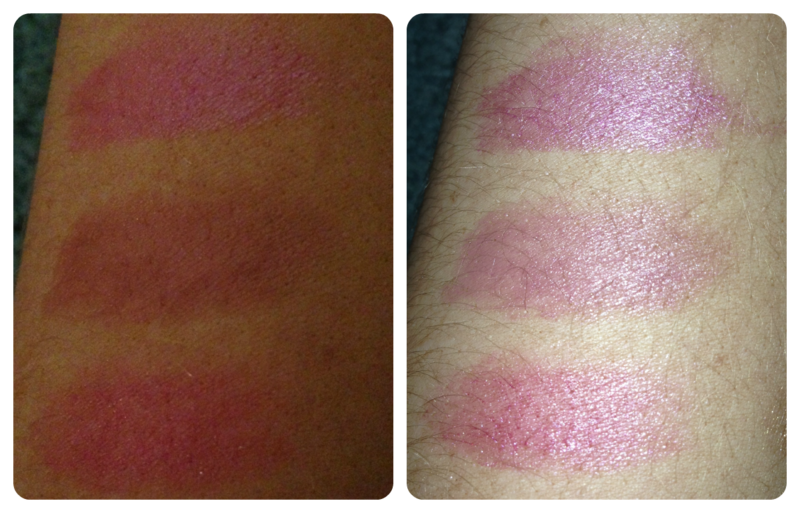 Top is gold shades, bottom is pink shades. What do you think? 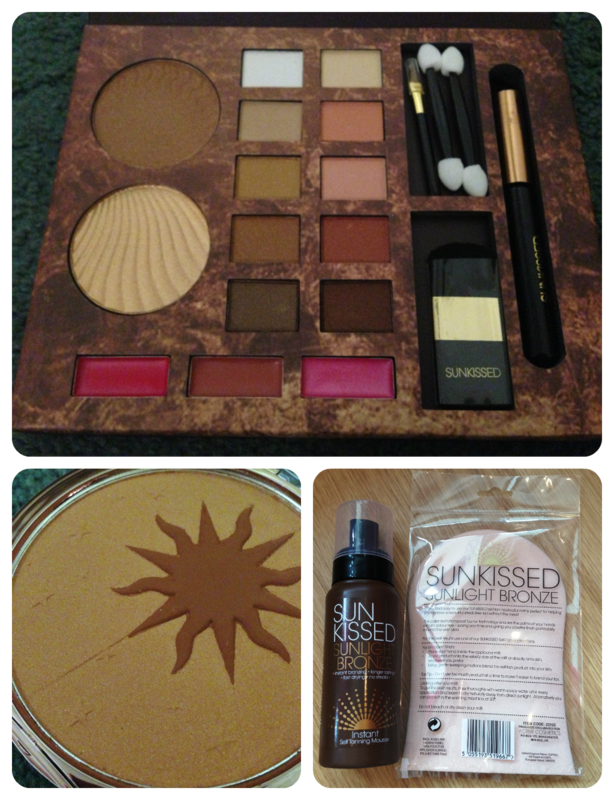 You can purchase Sunkissed products in or online HERE.